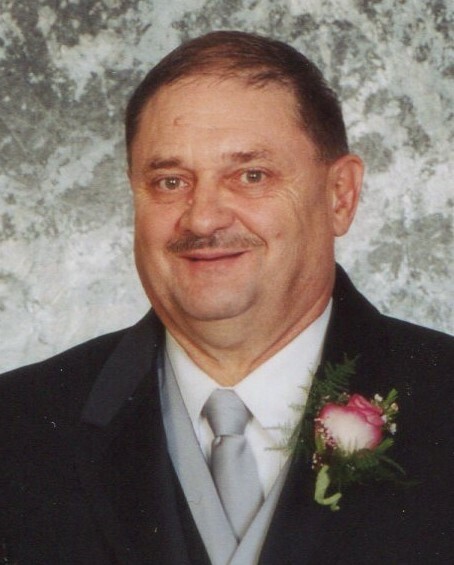 Jerry D. Gephart Sr., 75, formerly of Fairmount died Wednesday, March 20, 2019 at his Muncie residence surrounded by his family. Jerry was born on February 23, 1944 in Van Buren, Indiana, son of the late Homer and Anna Margaret (Losure) Gephart. He graduated from Van Buren High School in 1962. Jerry was a painter at GenCorp for 40 years and then at American Woodmark for 11 years before he retired. Jerry and Norma Stout were married on December 31, 1983 in Fairmount, Indiana. Jerry was a former fire fighter for the Fairmount Township Fire Department for 15 years and a former Fairmount Lions Club member. He spent countless hours coaching for the MG Youth Basketball League and the Fairmount Summer Rec. League as well as serving on both boards. In his spare time he loved hanging out with his grandchildren and great-grandchildren. He was an avid sports fan but the Cubs and IU Basketball were his favorites. Jerry also enjoyed building birdhouses and loved feeding and watching the hummingbirds. Jerry is survived by his wife of 35 years, Norma, of Muncie, children; Amy (Lawrence) Smith-Schoettmer, Anderson, Ryan (Beth) Smith, Muncie, brothers; Larry (Betty) Gephart and Dennis (Dorothy) Gephart, both of Warren, and Ronnie Gephart, Kokomo, six grandchildren; Shanda Shuttleworth, Alexis Andrews, Brianna Smith, Lotheda Schoettmer, Carly Shuttleworth, and Aaron Ward, two great-grandchildren; Brayden Rudisill and Curran Bishop, brother-in-law, Miles Stout, Fairmount. Jerry was preceded in death by his brother, Marvin Gephart. Arrangements for Jerry have been entrusted to the Fairmount Chapel of Armes-Hunt Funeral Home and Cremation Services, 415 S. Main Street, Fairmount, Indiana where visitation will be held on Monday, March 25, 2019 from 4-8 PM. Funeral service will be Tuesday, March 26, 2019 at 2 PM with Rev. Ron Wilson officiating. Interment will be at Park Cemetery, Fairmount. Memorial contributions in Jerry's memory may be made to the Fairmount Summer Rec. League in care of the funeral home.